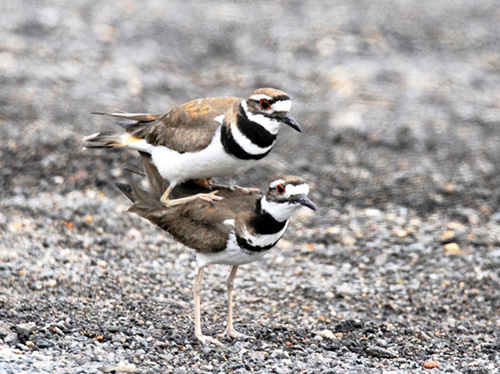 A morning spent touring neighborhood birding spots — Killdeer mating the day before the female offered her broken-wing distraction display, meant to lure me away from her nest. If she had a nest, that was quick. 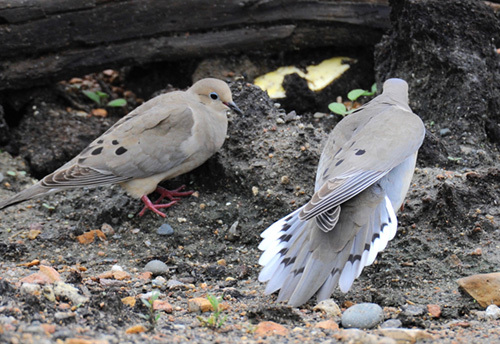 A male Mourning Dove was giving a courtship display, tail fanned, to a potential mate. 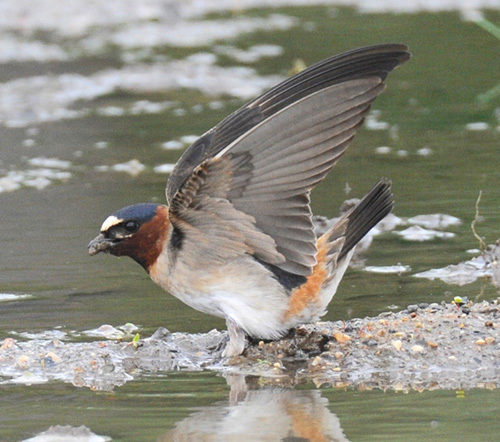 Cliff Swallows were collecting dabs of mud for construction of their gourd-like nests. 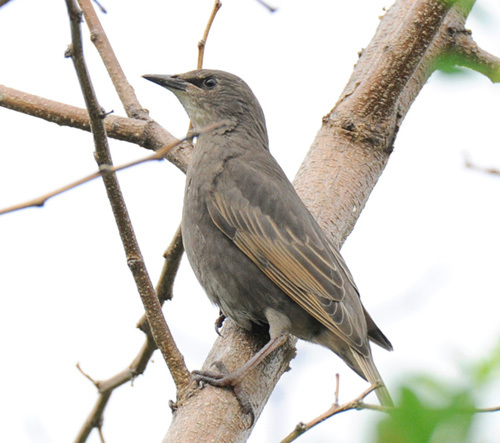 European Starlings had fledged this juvenile, its plumage most unlike that of adults. 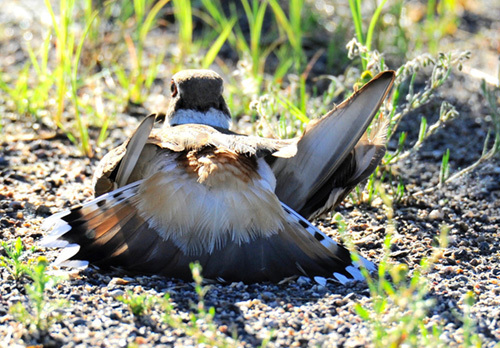 Bird-safe legislation -- from Toronto to Minneapolis?